There are a growing number of tech vendors entering the space who are keen to discuss how this is the next generation of data science, but what exactly is it? By the end of this year, it’s predicted that Deep Learning will be a core component in the tool-kit of 80 per cent of data scientists. That’s a pretty big jump considering machine learning and AI are still considered to be cutting edge technologies and Deep Learning goes even further than both. Deep Learning is used by some of the world’s largest brands such as Google that cites it as the cornerstone of its voice image recognition algorithms. Netflix uses it to work out what you want to watch next, Amazon for what you’ll buy next, and even researchers at MIT use to predict the future. There are a growing number of tech vendors entering the space who are keen to discuss how this is the next generation of data science, but what exactly is it? And is it more than just another name for AI? What even is deep learning? Deep Learning, Machine Learning and AI are inexorably tied together. Machine Learning is cutting edge tech – it’s the field of AI which today is showing the most promise at providing tools that industry and society can use to drive change. However, if Machine Learning is cutting edge, then Deep Learning is science-fiction. 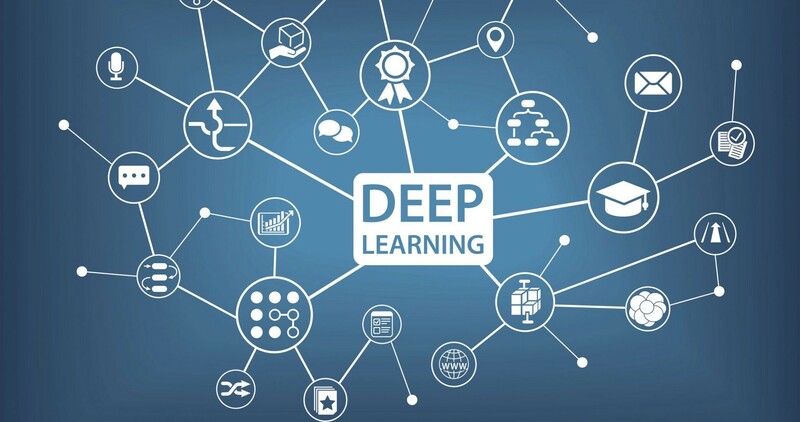 Where Machine Learning is using neural networks to mimic the human decision-making process, Deep Learning goes even further and attempts to create ‘thoughts’ and ‘intelligence’ – whether human or digital. Essentially Deep Learning involves feeding a computer system a lot of data, which it can use to make decisions about other data. This data is fed through neural networks, as is the case in machine learning. These networks – logical constructions which ask a series of binary true/false questions, or extract a numerical value, of every bit of data which pass through them – classify it according to the answers received. These networks are called ‘Deep Neutral Networks’ – the type of structure that can analyse and classify datasets on the scale of Google’s image library or Facebook’s advertising information. With datasets of that size, and logical networks sophisticated enough to handle their classification, it becomes not only feasible, but easy for a computer to analyse a picture and determine what it represents to a human with a high probability of accuracy.